Granny is Elsa’s only friend. She’s also a superhero. Lifesaving and driving people nuts are her superpowers. She also tells Elsa wonderful stories of the Land-of-Almost-Awake and the six kingdoms. Elsa is almost eight and is not very good at being seven. She is intelligent, resourceful, uninhibited and is bullied at school because she is different and refuses to fit in. And just when Elsa needs Granny the most, Granny up and dies making Elsa very angry! 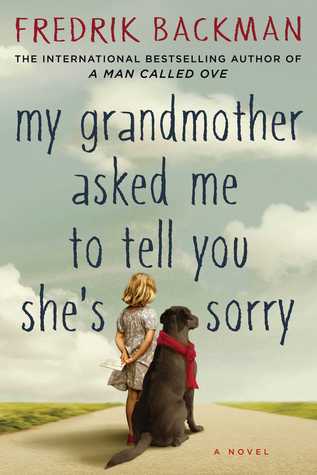 But Granny has left a series of letters apologizing for wrongs she has done to various people and asks Elsa to deliver them, sending her on an amazing treasure hunt. This wonderful story told through the eyes of Elsa made me laugh and cry, sometimes at the same time. It’s complex, with unexpected twists and turns as Elsa meets the monsters and heroes from Granny’s magical kingdoms. It’s a song sung in praise of individuality and I loved every minute. Highly recommend and suitable for teens. This entry was posted in adult, realistic fiction and tagged adult. Bookmark the permalink.